Remarketing is an effective way to get people back to your website for a second look and make the sale. While Google’s Display Network offers two million plus websites to show your ads, Facebook offers access to just over 2 billion (you read that correctly, billion) users. The fact is, people don’t just hang out on Google and Google advertising sites. Facebook claims to have close to two billion users. Even if that number is exaggerated, it’s still a lot of people using the platform to catch up with friends and discover new things. This makes it a great a place to show ads to people who have been to your website and persuade them to return. 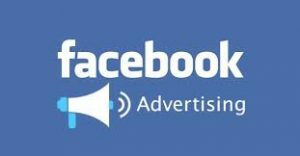 Facebook advertising, and remarketing specifically, has created significant sales boosts for a few of my clients. In one case, the client experienced a more than 30% sales uplift. Another client had all but given on Facebook advertising. I convinced them to try using it for remarketing, and they saw a nice sales uplift start happening. Like Google remarketing, Facebook requires you to build an audience so Facebook knows who should see your ads. Facebook advertising has a powerful Pixel tool that can be programmed for remarketing. You just need to load the Pixel onto every page of your website, and then set the Pixel to leave a cookie in the browsers of visitors. The Pixel can be programmed for specific pages, or all pages, or just about any way that suits your strategy. You can even have multiple Pixels! For all my clients, I loaded the Facebook Pixel onto their websites with Google Tag Manager (GTM) because it’s already loaded on the site, so we’re not slowing down the site with another tag. The Pixel then needs to be programed to the pages you want people to visit. With the Pixel in place, build your ads using Facebook’s Advertising interface and they show on Facebook.